Best Tourist Village 1992 . Best Tourist Village 1996 . Do you want to see our House on the West Coast? 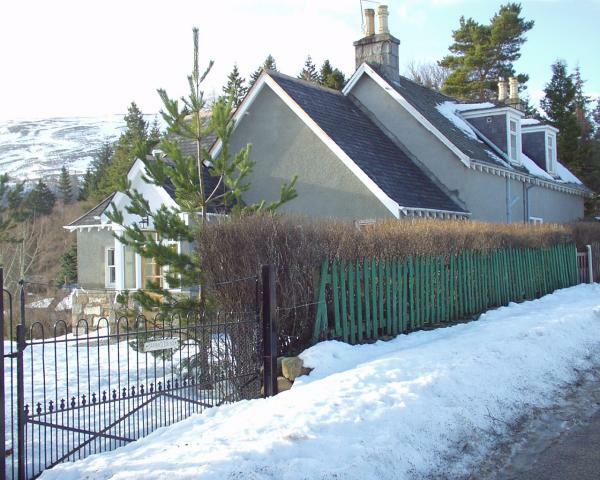 Do you want to see our other house in Braemar – Morrone? 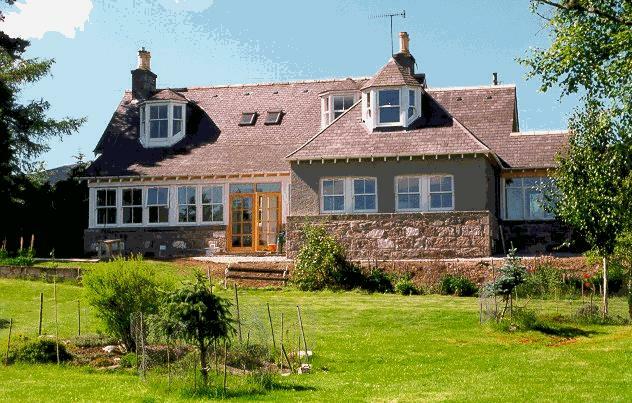 Sunnybrae is a beautiful highland house standing in its own secluded sunny garden of 1/2 acre with easy access ( about 5 mins walk ) to the village of Braemar in the Scottish Highlands. It faces due south and has double glazed windows looking out on magnificent views of the surrounding mountains. Walks lead directly to the moors and hills, or down to the river Dee; close by are Balmoral Castle, Ballater and, of course, the Cairngorms. Braemar is excellently situated as a base for hill walking, golf ( 18-hole golf course), touring, skiing, fishing or simply a peaceful holiday at any time of the year. View of Sunnybrae from the rear garden. 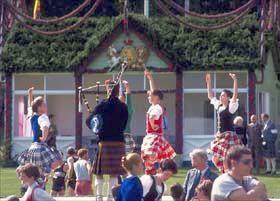 The award winning village of Braemar, with a population of approximately 500 is world famous for its Highland Gathering.Braemar lies near the junction of the Rivers Dee and Clunie at 1100 feet, surrounded by magnificent scenery, through which there are wonderful walks. The climate is good, although conditions can be severe in winter. Summer is often hot and dry and it is also often fine in autumn when the colours are most beautiful. The tops of the high Cairngorms can be seen from Sunnybrae and open out as one walks up Chapel Brae. Often these tops carry snow well into the summer. Braemar holds the record for the lowest temperature recorded in Britain in recent years -27.8 C. There is skiing in nearby Glenshee and relaxed golf on the beautifully picturesque 18 hole Braemar golf course. Our accommodation comprises 4 bedrooms - 3 double (one with a double bed and two with two matching singles ) and 1 single - all have very good beds and mattresses; Lounge; Sun-porch; Modern open kitchen/dining-room with electric double-oven cooker, fridge freezer, microwave; Family-room with additional high-quality double sofa-bed; Utility room with washing machine; 2 Bathrooms - both with shower and bath. Heating is by night storage heaters and Danish all-burner stoves. Hot water by off-peak and boost immersion heater. The house has been recently restored to a very high specification and is furnished with fitted carpets, double glazing and most modern appliances. Early spring at Sunnybrae .